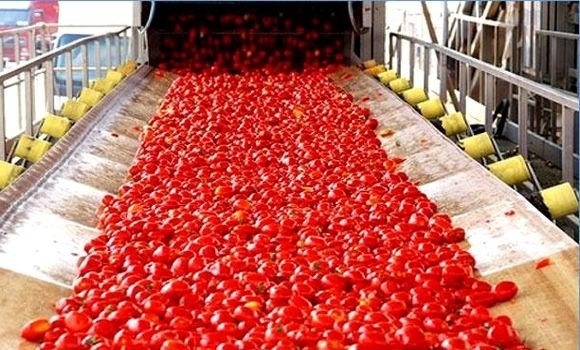 On 10 May, the Algerian Minister of Agriculture, Rural development and Fisheries, Abdelkader Bouazghi, stated that triple-concentrated tomato paste (as a raw material) could be included on a list of products to be banned from import. Commenting on the situation of processing factories and on the coherence of measures relating on the one hand to triple-concentrated paste and on the other hand to the aluminum packaging used by operators for conditioning the paste produced by the Algerian industry, the minister confirmed that a study is underway regarding the mechanisms that could put an end to the importing of triple-concentrated paste as a raw material. The minister also recently hosted a meeting with tomato processors to "discuss the possible ban on importing this product within the next couple of years", and he stated that the country's industry produces sufficient quantities to meet domestic needs, possibly even exporting surplus requirements. The Minister underlined the importance of the tomato processing industry and its strategic economic role on the national market, announcing the institution of measures to support the industry with assistance for the production and processing of tomatoes (subsidies for acquiring irrigation equipment, seeds and pesticides, thanks to a number of agricultural support funds, in addition to access to Rafik credit lines (interest-free loans) and to technical support resources). Processing tomatoes are mainly grown in four wilayas in the North of the country (Skikda, Guelma, Annaba and El Tarf), which account for 80% of the surfaces dedicated to this crop at the national level. Other areas have been planted with tomatoes in the South, including more than 1 400 hectares in the region of Adrar and 14 hectares in the wilaya of Tamanrasset. Mr. Bouazghi underlined the major increase of the volumes produced and processed in Algeria, pointing out that the 25 operating plants have a total daily capacity of 36 000 tonnes of raw materials, and he announced the imminent creation of a National Council for this industry. Efforts are underway to extend the surfaces dedicated to processing tomatoes and to ensure that farmers receive adequate technical support, in order to improve production in terms of quality and quantity, to respond to the requirements of the national market and to encourage export operations.